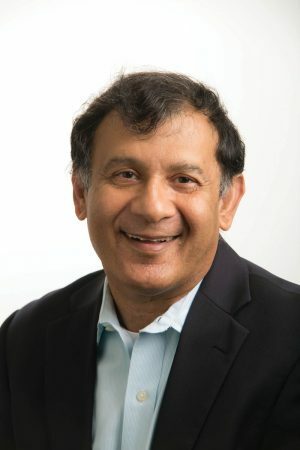 Cullen Distinguished Professor and Finance Chair Praveen Kumar was awarded the Best Paper Award in Corporate Finance by the Financial Management Association. Research from Cullen Distinguished Professor Praveen Kumar (who is also the chairperson of the Bauer College Department of Finance) has earned a prestigious recognition from the world leader in developing and disseminating knowledge about financial decision making. At the Financial Management Association annual meeting this month, Kumar received the organization’s Best Paper Award with colleague Hadiye Aslan of Georgia State University. Kumar and Aslan are the first to establish a link between the steep decline in U.S. entrepreneurship in manufacturing in the last two decades with the explosive growth of low-cost imports. They also show that the low-cost import competition has shifted entrepreneurial activity (especially among more educated individuals) towards sectors that are not materially exposed to international trade. The topic has dominated political and societal discourse for good reason, Kumar noted. “There is a clear connection between entrepreneurship, economic growth, employment generation, and wealth creation,” he said. The drop-off in the number of new businesses created in manufacturing and other trade-exposed sectors has been tied to stagnant productivity and employment opportunities in these sectors. Because these sectors are still economically important, this in turn is connected to anemic growth in wages and living standards in the United States. While it’s been widely assumed that the phenomenon was due in part to a surge in low-cost imported goods in the 1990s and early 2000’s, Kumar’s research is the first to empirically show the connection while considering other possible influences, such as underlying time trends in the economy, local labor market conditions, and the effects of the housing price boom and subsequent collapse. The researchers used data from more than 300,000 households surveyed by the U.S. Census Bureau for years between 1993 and 2006. The Survey of Income and Program Participation (SIPP) is a rotating longitudinal survey that tracks about 60,000 to 80,000 individuals for up to four years, Kumar said. The research also established that less wealthy and less educated entrepreneurs were hit particularly hard when low cost imported goods flooded the U.S. market. “Better educated or wealthier individuals were able to shift entrepreneurial activity to sectors that are less exposed to competition from foreign trade,” Kumar said. The Best Paper in Corporate Finance award was announced at the annual FMA gathering, one of the largest professional meetings in finance, attended by both academics and industry practitioners.